Clean-burning cookstoves powered by biogas help surrounding forests grow and regenerate, according to a new study by Columbia University scientists. The study in India finds that forest biomass and regeneration increased significantly after 10 years of introducing biogas stoves; because the stoves run off the gas produced by decomposing cow manure, they eliminate the need for cutting down trees and lopping them for firewood. This new finding suggests that biogas stoves, in addition to their role in improving indoor air quality, impacting household nutrition, and reducing carbon emissions, may help India reach its climate goals around improving forest cover and increasing carbon sequestration. About 41% households in India are dependent on fuelwood as their source of cooking, according to the 2011 Census of India survey. However, burning fuelwood for cooking increases indoor air pollution, exacerbates health issues, contributes to climate change, and destroys wildlife habitat. Since the 1980s, aid organizations and governments have been installing biogas stoves in some regions in India to reduce the impacts from indoor air pollution and reduce carbon emissions, but these have largely failed due to poor post-installation support. Published in Global Ecology and Conservation, the new study compared forest biomass and regeneration in the areas around villages using biogas or wood for fuel in the Indian state of Karnataka. The study shows that people dependent on fuelwood for cooking reduce their fuelwood use when provided with a viable alternative, the biogas stove. Switching to biogas allowed the surrounding forests to recover. The findings have great significance for India, which committed in its national climate commitments under the Paris Agreement to increasing its forest cover to enhance carbon sequestration. India is also working on delivering clean cooking systems for people through the Pradhan Mantri Ujjwala Yojana (PMUY) and biogas programs around the country. Forest regrowth is, of course, contingent on many other factors besides how much fuelwood is taken from forests. For example, in some locations, forest may not regrow despite biogas stove use, as the ecosystem may have already been damaged so much that it needs active restoration. Also, since biogas technology is dependent on ownership of cattle, this scheme does not work for people who are too poor to own cattle, or in areas where there isn’t enough rainfall for people to own cattle. This study can help policymakers understand how clean cooking programs can support India’s – and other governments’ – targets of improving forest cover and carbon sequestration. If conditions are right, and if done at scale and implemented in a way that promotes long-term change, shifting households from burning fuelwood to cleaner technologies can help forests grow and can help countries such as India achieve their climate goals. Airline travelers in India who fly the country’s largest airline now have an opportunity to support low-carbon rural development programs across the country. The landmark partnership was unveiled this weekend between the Fair Climate Network (FCN), a consortium of Indian groups that is committed to improving health and livelihoods in rural communities, promoting climate resilience and reducing climate pollution, and IndiGo, the country’s largest and fastest growing airline. The company will use the funds collected through this voluntary program to purchase some of the offsets generated by more than 300,000 Indian families from 36 climate mitigation projects. The projects, being developed and implemented by FCN, help families in rural India gain access to clean, reliable energy and improve farm income while cutting carbon emissions. These climate adaptation and mitigation activities include innovative and sustainable low-carbon farming techniques and cooking with clean methane power instead of highly polluting traditional wood stoves. 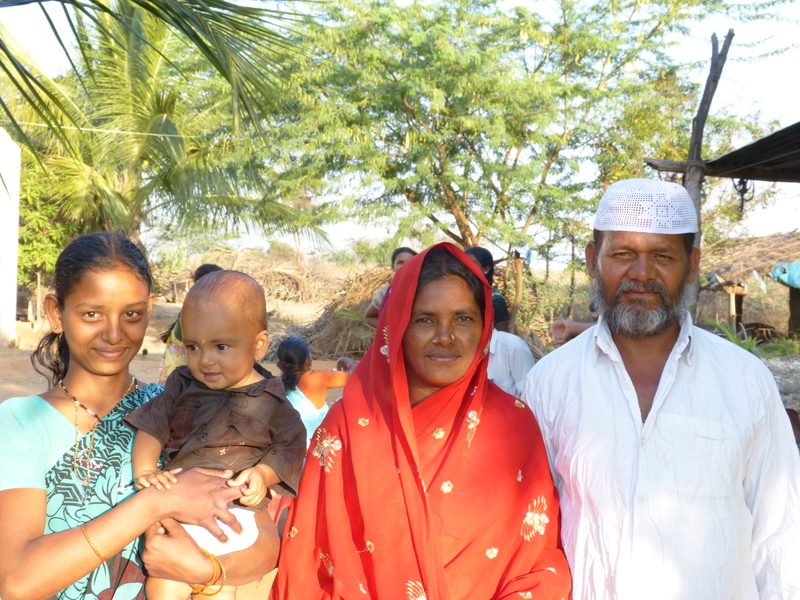 The families produce the methane fuel by using biogas digesters to process livestock manure. It bears repeating that this is an Indian company buying carbon offsets created in India. We’ve seen other projects in India create offsets that have been purchased by, for example, European organizations. But this project is truly an effort of and for the people of the world’s largest democracy. In offering this program, Indigo is providing its customers an opportunity to support its commitment to shared prosperity and “inclusive” growth – growth that benefits not only rural families that are members of the Fair Climate Network, but also IndiGo’s passengers and all Indians, who will benefit from a healthier environment. We need programs that support economic development and deliver social, health and environmental co-benefits, including climate adaptation and mitigation. IndiGo has reposed faith and trust in this understanding of inclusive development where a stable and healthy economy is good for business. This partnership is a strong step in this direction. We strive to make a difference each day and find solutions that help manage our carbon footprint. We are delighted to partner with FCN on this initiative which not only helps us and our passengers achieve just that, but goes far beyond by creating a sustainable positive impact and improving many individuals’ livelihoods. The company is showing leadership by making this commitment to inclusive growth and offsets, along with other green technology investments, an integral component of its future growth. This partnership can serve as a model for Indian business leaders looking to make a difference in their communities. 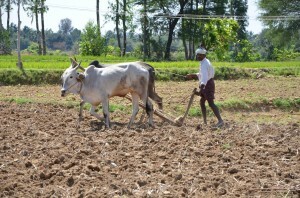 IndiGo’s press release: IndiGo goes Green; commits to low-carbon rural development programme. IndiGo’s program website: IndiGo Clear the Air. Fair Climate Network’s website: Fair Climate Network: Who are we? EDF’s international climate program’s webpage: Solving climate change takes a global effort. With the caveat that nothing is certain in these climate conferences until the deal is done, it appears negotiators in Durban are poised to set up the structure for the much-debated Green Climate Fund that would help finance efforts of some developing countries to adapt to the impact climate change and curb their greenhouse gas emissions. This is exciting, and it doesn’t mean that we expect to see large sums of money flowing into the fund this year: There’s nothing wrong with that – you can’t put money in a bank until there’s a bank in which to deposit it. It is encouraging that Germany and Denmark pledged small funds yesterday to capitalize the Fund. Hopefully that is the start to a series of further contributions from countries over the next year. At this point countries are still fighting over what institution or country will host the fund and there’s a complicated process between approving a fund and getting it up and working. The Transition Committee created last year in Cancun has been working to set up the infrastructure and the rules governing creation of the fund. After a year of meetings, no one is completely satisfied with the Transition Committee Report. That’s not surprising given the complexity of the issues involved. Even so, it appears the convention here has little desire to reopen the debate in its final hours and may allow some of the dissent to be addressed in a cover note to the report. Once the report is accepted, delegates are expected to set a deadline for appointing the board to govern the fund and having its first meeting—likely by April 2012. When the board is in place, we should see the details of the governing institution take shape. At this meeting, Parties may approve the formation of a working group on long term finance that would create a series of options for delegates to consider at next year’s climate conference in Qatar; we’re still waiting these details to unfold. And the final issue that needs to be decided in Durban is where the fund will be housed—which institution or country will actually host the fund. For example the Food and Agriculture Organization is “hosted” by Italy and physically housed in Rome. As to be expected, many countries are lobbying vigorously for the job. We end with the same caveat with which we started: There is still plenty of time left in Durban for this scenario to fall apart in the usual chaos and bickering of the final hours. The report has something for everyone, and not everything for anyone. But it appears the nuts and bolts for setting up the Green Climate Fund are ready for assembly. With 400 million people living below the poverty line, and an agriculture sector that is heavily dependent on the Monsoon, India is on the frontlines of climate change. But with such a rapidly developing country and signs of climate change already manifesting, how can both development and climate change be addressed? The world’s largest democracy will play a crucially important role in answering this question, and we will learn a lot from the process. This is why Environmental Defense Fund began engaging on the ground in India nearly two years ago. 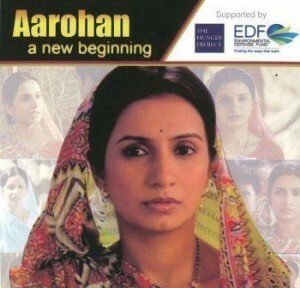 EDF produced a Bollywood-style movie to address women's roles in managing climate change in rural India. 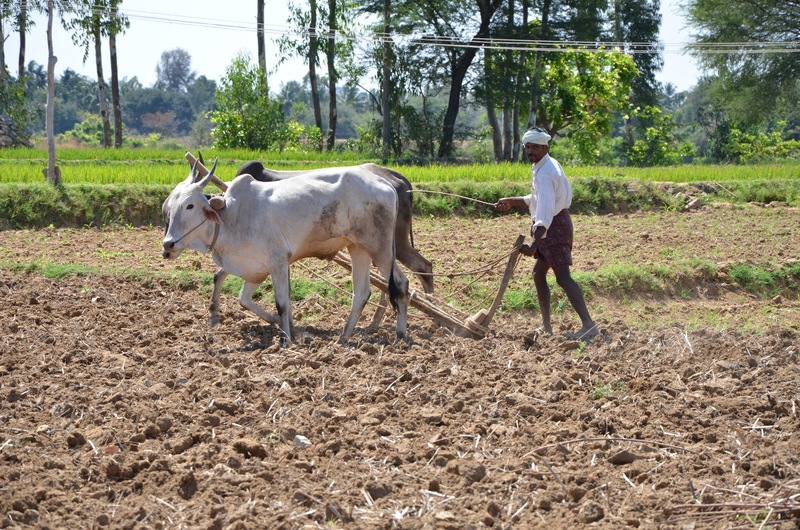 Since half of India’s population lives in villages and rural areas, one branch of EDF’s work focuses on sharing information about climate change in rural India. And with a law requiring at least one-third of Indian representatives be women, locally elected women leaders are at the center of our outreach. It can be challenging to explain how global warming is affecting the women’s lives, so EDF had to think creatively about how to contextualize the risks from climate change, like poverty, risk of hunger, and water security from events like changes in rainfall and rising temperatures. As a first step, we produced a film starring an Indian soap-opera actor with our partner organization in India, The Hunger Project, which seeks sustainable solutions to world hunger and helps to empower women in rural communities. The film “Aarohan”, which in Hindi means “A New Beginning”, is designed to prompt the kind of discussion that ultimately may lead to active engagement from women in working to alleviate rural poverty and adapt to climate change. It’s already been shown in more than 400 villages in three separate states at climate “workshops”, where the women leaders watch the film and share stories about the impact of climate change in their communities. What follows is a blog piece written by Caroline Howe, a young entrepreneur deeply committed to addressing the issue of energy poverty in India. Caroline was kind enough to be present as an observer during one of the meetings in the Himalayan state of Uttaranchal, which hosted 100 community leaders from 30 villages. Through the post below, she shares her experience. In Delhi, it’s easy to lose hope in the fight for environmental protection and climate mitigation – a thousand new cars every day; thousands of tons of garbage that make their way to the landfills coming from millions of homes, industries, and street sides; constant new construction of flyovers and widening of roads; and the sensation that it is too big for any individual, even any well-intentioned local politician to make a difference. An overnight train ride away from Delhi, though, there exists another world. One that is full of enormous challenges in a rapidly changing climate, but also one full of Himalayan hope. 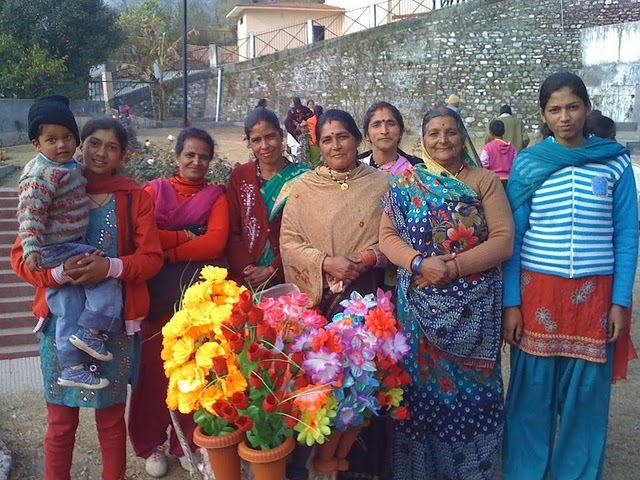 Environmental Defense Fund, in partnership with The Hunger Project and local NGOs in Uttarakhand, are giving female political and community leaders the tools they need to be able to engage in the development decisions happening every day. 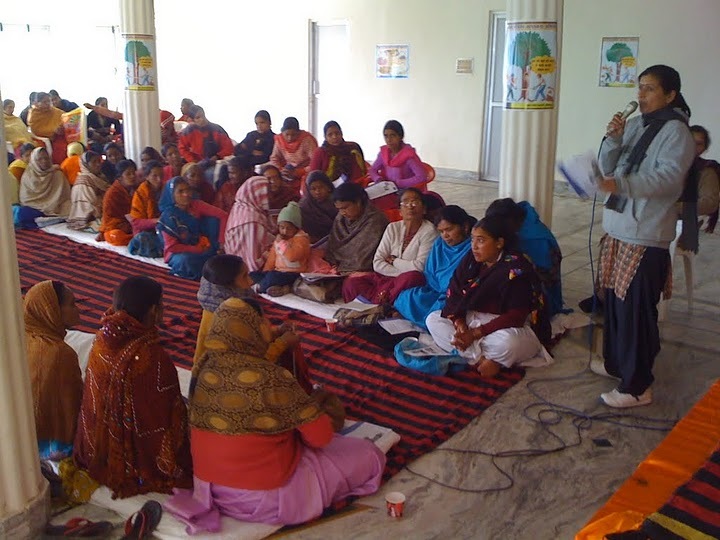 One cold but warming day in mid-January, I had the honor to join Richie Ahuja to visit a leadership program, bringing together more than 100 of these female leaders from throughout the Kumaon district. 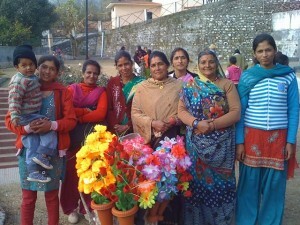 These rural women traveled for hours to a small town in the Himalayas to learn about climate change. Some of these women (and three generations of their family members) travelled by bus for more than 2 hours to reach this workshop, through winding mountain passes from their villages. 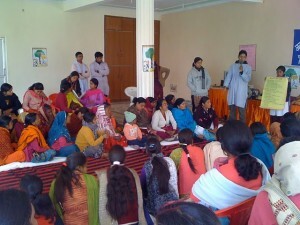 Many of these women were Sarpanches (elected heads of villages) or members of their panchayat (an elected board of community representatives), while others were community leaders of other kinds, working with Self-Help Groups in their village. While we waited for the last of the buses to arrive, several women led the group in a song that many of them learned by listening to the first group singing. Describing the interconnectedness between people and the environment, they spoke about how you can’t change one thing without changing the world around it. They sang other songs about the need for action, the need to fight to protect their communities, nature, and the beauty of the Himalayan mountainsides. Conveying as impactful a message as An Inconvenient Truth, but in a format that is easily digestible and appealing to its target audience, the film obviously had sparked dialogue and action in these women. 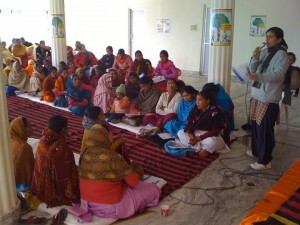 The Hunger Project had conducted surveys of the women who saw the film to discuss the impacts of climate change in their own communities. 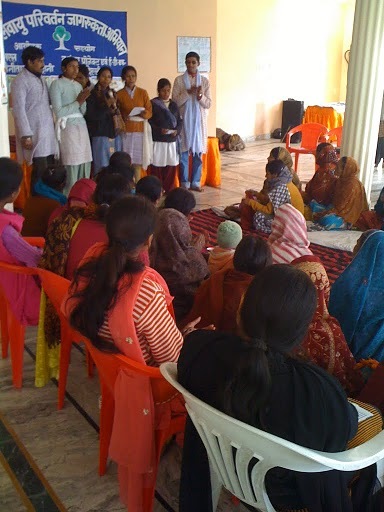 After a few more songs, the training program began with a review of the survey’s results, while the women present shared their specific stories of impacts in their areas. People shared a common sense of the changing water availability – the lack of snow in Nainital for the past 10 years after centuries of snowy winters, increase in cloudbursts and intense rainstorms, springs running dry – and common impacts from these changes. We used to find water nearby; now we walk for 2 hours to find water, and the children do this before they can go to school. The further they walk, the less school they attend. Women described the effects of climate change they were already seeing in their villages. This area used to be all forests, you could look over this valley and see only trees. Now you can see, we’ve cut down the jungle to build these villages and these cottages. Some women didn’t know who was cutting their forests, but everyone knew it was happening – the best and biggest trees were disappearing. Without these big trees, and without the rains there are bigger and bigger forest fires. Disappearing forests made medicinal herbs hard to find and harder to find fodder for cattle, as well. It wasn’t just changes in forests and precipitation, though, that these women described. They talked about changes in consumption – with one female leader passionately describing the rise in packaged foods. We are eating food from plastic instead of food that helps our children and our farms grow. They talked about the rise in polythene on street corners, on hillsides, all along the village roads. Other women described the increase in chemical consumption, in farms and in their homes. Instead of using dung or compost, farmers were using chemical fertilizers, and these women recognized that this was an increasing problem for the long-term fertility of the land. Rural Indian women said they're noticing changes in their environment, like more severe forest fires, less rain and less available drinking water. But in the midst of these stories of significant changes, women shared the stories of what they had done to change things – what they had done to improve these conditions. One woman spoke of how her community was able to keep people from drawing from their remaining spring so that they could preserve it. Another woman lay down in the road when someone was trying to take trees out of her village. You can roll over me, but you won’t take trees out of here. This delay gave the police enough time to arrive, confirming that these particular men had no permit for logging. Another community leader had recognized that their village didn’t have a need for a 40 foot wide road as much as they had a need for the trees that would be cut to build it, and so stopped the state government from the road-widening project. They preserved their 10 foot road, and hundreds of trees along the way. This is a global problem, but many of these challenges are in our hands, within our control. We can’t wait for others to solve it, we should do what we can with these problems. Polythene here is our problem, the polythene in the city is for them to solve. One woman concluded by talking about transportation. More cars and more trucks in the mountains, she said, were leading to more pollution and more heat in their area. I’m not saying don’t drive, but that we need cars that pollute less, and more thoughtful development of our regions’ transportation. Performances during the workshop allow participants to act out how they plan to combat climate change, along with other environmental challenges they face in their communities. After this discussion, a group of young people from a local NGO performed a street play set in the future, using the same tools of drama and humor, building intriguing and captivating characters that were being impacted by changes in their communities. In some ways, this street play brought to life the same dramas and dilemmas facing the characters in EDF’s film, demonstrating again the power of engaging people on an emotional level before asking them to engage intellectually or physically in combating these challenges in their communities. It was wonderful watching women laugh as young men played characters of grandmothers and as their friends and neighbours made both comic and real the challenges they had been speaking about. It was even more wonderful to watching the understanding wash over the crowd as these characters faced the extreme challenges that may well face these communities in 10 or 20 years, certainly within the lifetimes of the women present, and to watch the discussions that were generated afterwards. The group concluded on a powerful, inspiring, empowered note, recognizing that the challenges they could face could also be solved. They spoke about solar energy – “You may have to pay upfront, but from then on, it’s absolutely free!”– and water conservation – “There is enough, if we use it well.” More importantly, though, they addressed the mindset change that would have to occur within each one of them, and within their neighbours. If man can make a ton of metal fly in the sky, then we certainly can solve these problems on the ground. For these men and women who have seen so much change – technological and environmental – in their lifetimes, they know that they do have the power to make these changes possible. Before getting back onto the ton of metal taking me back down the mountain, I looked back to these women who were facing so much with so much courage and strength, and were able to do so because they were together. They were able to share their stories and learn from each other, as human beings, with emotions and needs, with courage and confidence. I took some of this with me and re-entered Delhi with a heart and head full of Himalayan hope. Follow EDF’s India Program Manager on Twitter @richieahuja.